Youth Photographical Exhibition Opening Ceremony Burj Al-Luqluq Honours the Militant Subhi Ghosheh on its Facilities in the Old City. 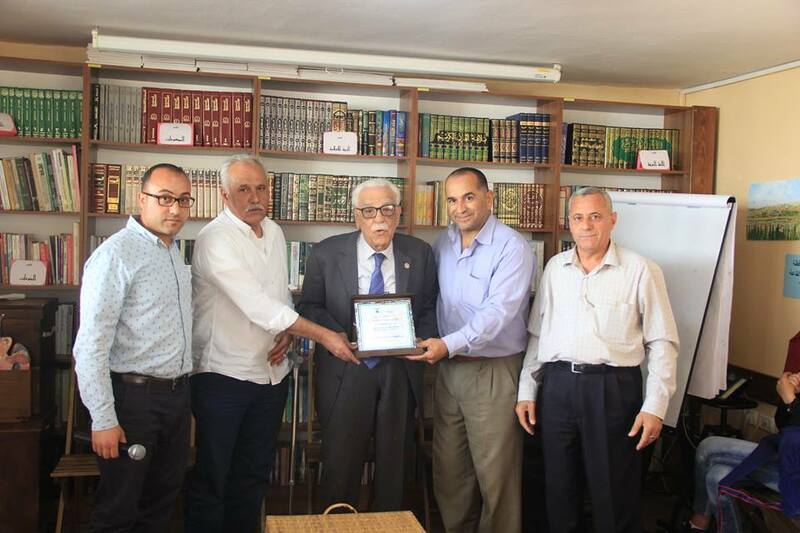 In a Jerusalemite youth ceremony, Burj Al-Luqluq welcomed the Palestinian Militant Dr Subhi Ghosheh in the Educational Beacon in Burj Al-Luqluq Social Center Facilities. Participants from Old City nehiborhoods contributed in opening the photography exhibition for photographical course students within Live Al-Burj Project which funded by Welfare Association. The Jerusalemite Militants Abdul Latif Ghaith and Salah Abu Ktiesh, Consultancy Committee for Combating Drugs Addiction in Jerusalem Decision Maker and Educational Advisor Sameer Al-Turman, the Publican and the Gymnastic Ziad Abu Sbeih, Burj Al-Luqluq Head Manager Naser Ghaith and its Manager Muntaser Idkaidek, the Project Coordinator Ahmad Jaber, Photography Trainer Mustafa Al-Kharouf and Graduators Parents were the attendance for this ceremony. The ceremony started in cutting the ribbon of announcing and opening the photography exhibition by the Doctor Subhi Ghosheh. And then, the participated students presented a brief explanation on their own captured pictures to the crowd and Al-Kharouf presented other brief description on the entire course and on the training sessions given for the participated students.